In the wake of Kate Spade and Anthony Bourdain's suicides, Samaritans Inc. and the MBTA are increasing their suicide prevention program. 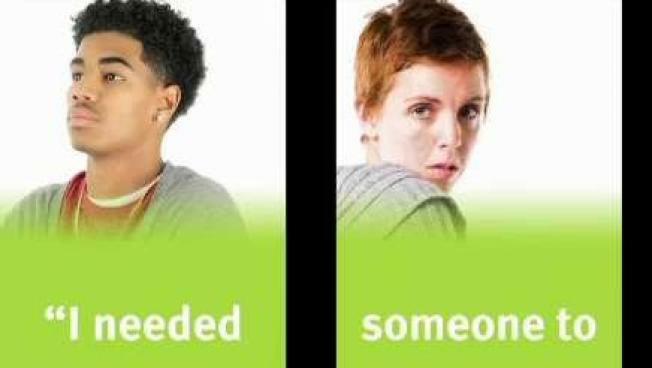 "If you or someone you know needs someone to listen, Samaritans is there," the sign says. "Call or text 24/7 1-877-870-HOPE (4673)." "If one of your freinds says something about 'no one would miss me if I didn't show up next week,' stop what you're doing and look them in the eye and say 'what do you mean by that? I care about you and you just frightened me'....be that direct and blunt," he said. "It could save a life." An estimated 1,500 signs are expected to be posted across stations and crossings. Considered a public service, the signs are paid for by the MBTA. Massachusetts has seen an increase in deaths by suicide by 35 percent from 1999 to 2016, the Center for Disease control said in a June 2018 report.